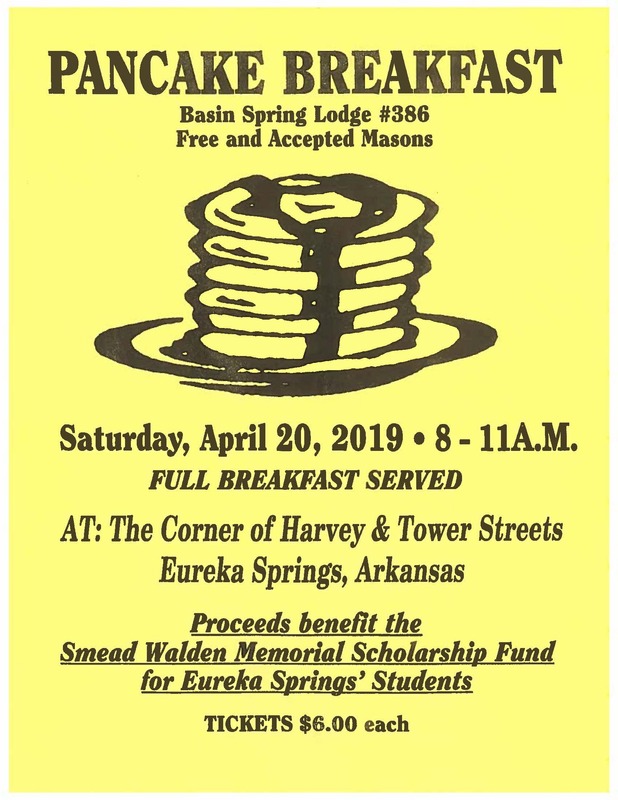 Join the Free and Accepted Masons of Basin Spring Lodge #386 for a pancake breakfast. All proceeds benefit the Smead Walden Memorial Scholarship Fund for Eureka Springs' Students. The corner of Harvey & Tower Streets in Eureka Springs!